pub that is definitely worth a visit. Friendly pub with a good choice of local beers. Worth trying the food, too. 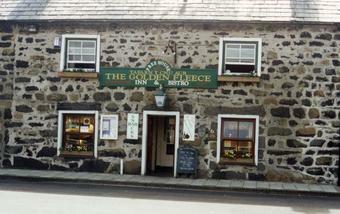 One of 4 or 5 pubs in Tremadog's main square. The bar was freezing, but quite atmospheric. There were 2 real ales - Brains Rev James and Uphampton Arrowhead Extra. We also ate here. The food was nothing special, but good value with 2 meals for �10.